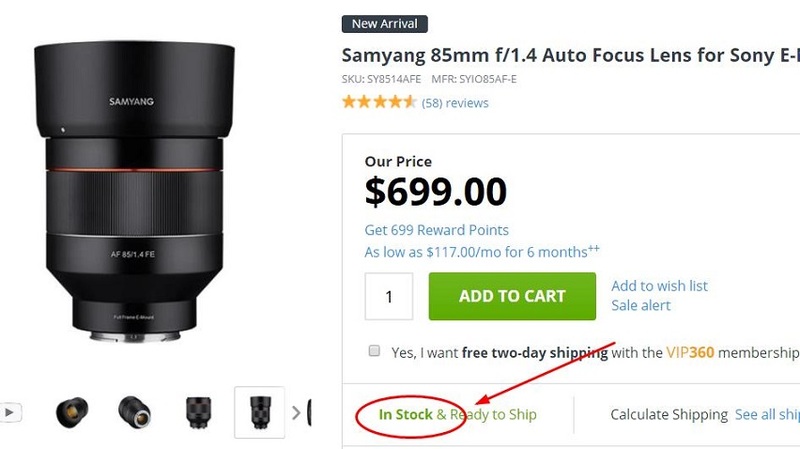 The new Samyang AF 85mm f/1.4 FE Lens for Sony E-mount is now in stock and shipping at Amazon, Adorama for $699. You can also check the availability at B&H. Order now if you are interested.